Welcome to Part 2 of our series that recognizes our 2018 Retailers of the Year. In this post we honor Wilbur’s Total Beverage of Fort Collins, Colorado, Hugo’s Wine & Spirits of North Dakota and Minnesota, and The Party Source of Bellevue, Kentucky. Check out Part 1, which posted last week. Keep an eye out for the rest of this series, coming out in the next few weeks. Beverage Dynamics for the second time opened up its annual Retailers of the Year Awards to a nomination process, attracting entries from top retailers across the country. Many received nominated from wholesalers, suppliers and other industry vendors, while some nominated themselves. All were required to complete a detailed entry form that included financial information, product mix, staffing and training policies, advertising spend and community engagement. After our editorial team reviewed the entries, we chose 32 retailers as the best of the best. They represent every part of the off-premise industry, from single-store operations to large regional chains. Winners will receive their awards at the second annual Beverage Alcohol Retailers Conference in Denver. Congratulations to everyone who won, and good luck to the retailers who enter next year’s awards! Fourth-generation Loveland resident Mat Dinsmore grew up around the liquor industry. Both of his parents were involved in store openings and operations, and for 15 years before taking full ownership of Wilbur’s Total Beverage in Fort Collins, Colorado, Dinsmore learned alongside his father Dennis—the man he calls “my hero”—before his dad retired in 2014. Wilbur’s is doing all it can to avoid being trapped by what Dinsmore calls “the erosion of the three-tier system.” A new website should roll out by the end of the year, as will its own store-branded app for Apple and Android. “The consumer is getting used to being able to order on-demand, so we have been doing more Drizly and more phone orders,” Dinsmore says. While Wilbur’s does not offer online sales, everything is available for local delivery or in-store pick up. On top of these improvements, Dinsmore says Wilbur’s works hard on employee retention efforts, continuing to offer all employees a four-percent 401(k) match, a week of flex time after one year of service and up to three weeks after three years of service. After just six months, Wilbur’s will split the cost of an employee’s gym membership. 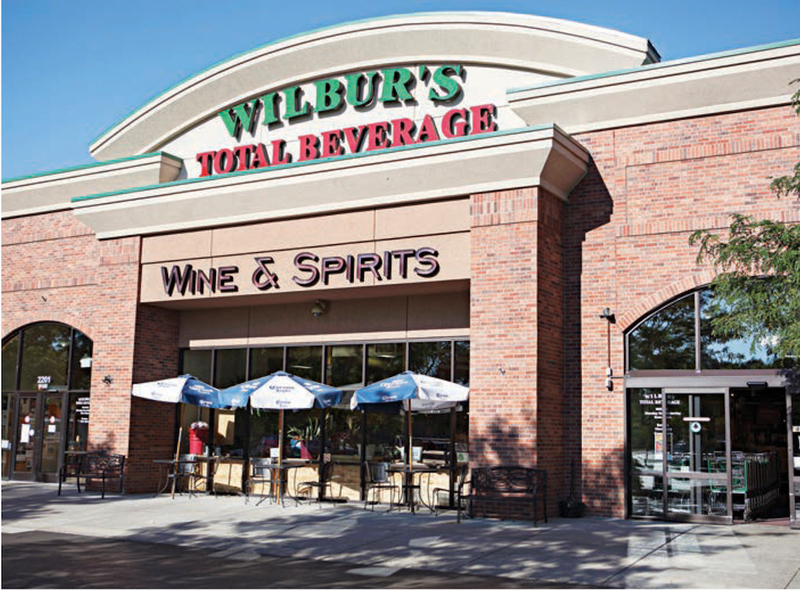 And being located just half a mile from Colorado State University has helped Wilbur’s both do strong business and discover great employees. “We have had a great breadth and depth of college-age talent,” he says. All team members are TIPS trained in the first month of work, and Wilbur’s offers CPR and first-aid training, plus OSHA-certified training for its forklift. It’s also a member of RAR (Responsible Alcohol Retailers) through the city of Fort Collins. Its sales and promotional strategy includes full-page ads and wraps in its local weekly newspapers, while a direct e-mail list boasts over 10,000 people and promotes wines of the week, beer of the month and lists sales. In an effort to drive Sunday business, its Sunday-One-Day sale offers a single item at cost or slightly above. Its 80,000-strong loyalty program incentivizes customers with in-store sales and offers one-percent back once a member spends $1,000.